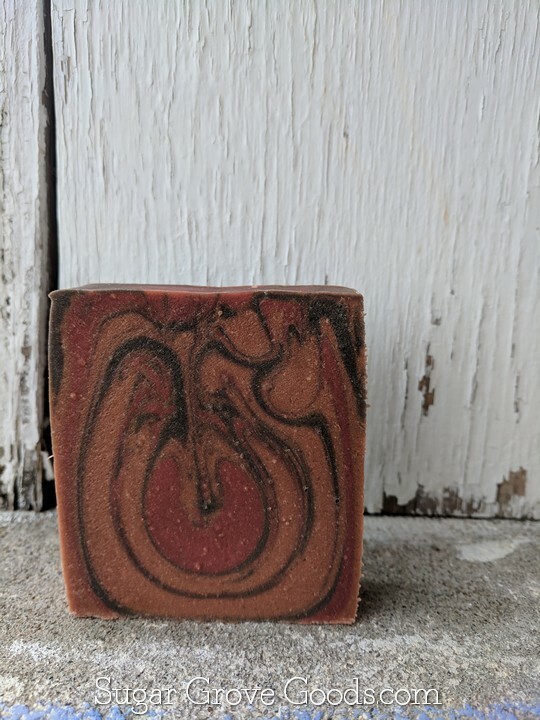 Named for my very special second-mom, Angie has fruity sweet notes of Italian Bergamot, White Lady Peach and Strawberry mixed with middle notes of Apple Blossom, African Tamarind and a touch of Damask Rose. 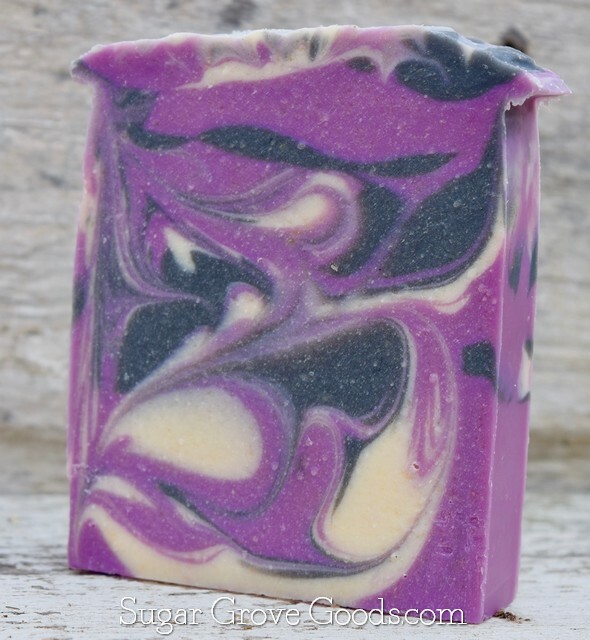 The base is Tonka Bean, Coconut Milk and White Musk. This fragrance make me think, "So fresh and so clean"! 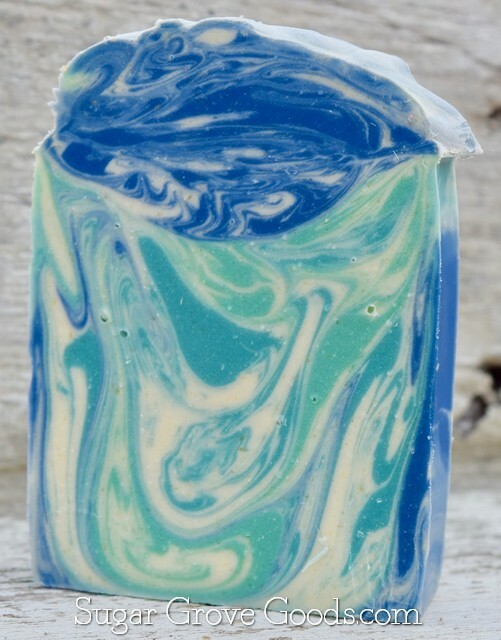 Vibrant Bergamot and fresh basil leaf are complemented by earthy notes of Oakmoss and white patchouli. 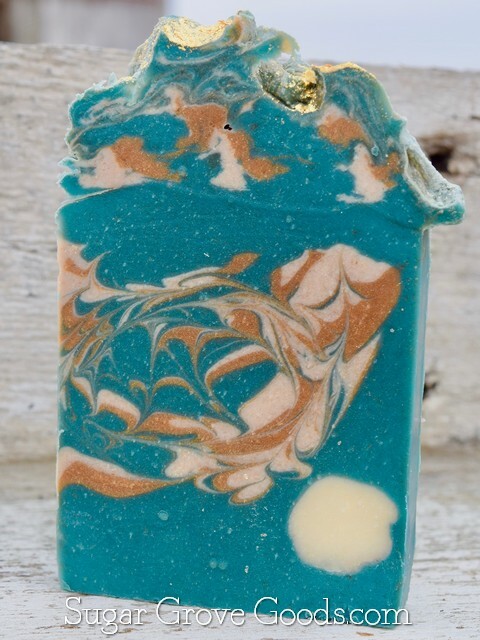 This complex mix of wild cypress, ozone, kaffir lime, sea salt, oud, elemi, leather, amber, ocean moss, and frankincense is a perfect unisex fragrance for the winter months. 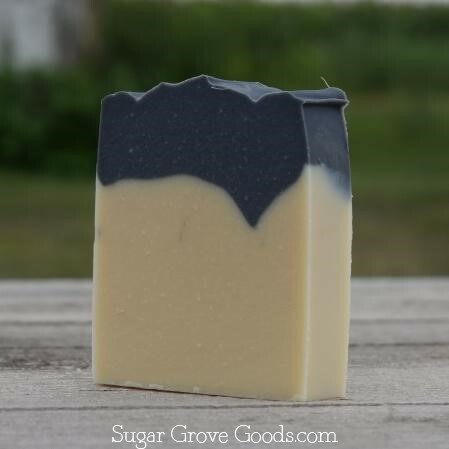 This is the perfect fragrance for those looking for a fresh and clean masculine scent! 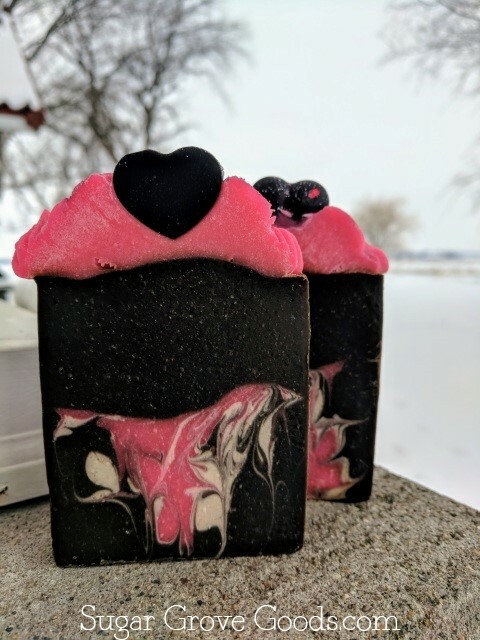 It all begins with a hint of rose and wild geranium then notes of bergamot and golden amber round out this fragrance making it a seductive addition to your daily routine! 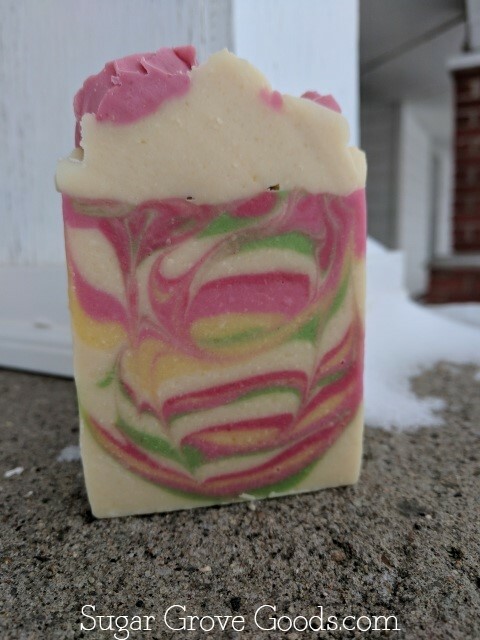 An uplifting blend of citrus, including lemon, lime, grapefruit, a touch of cucumber, pineapple, blackberry & champagne. In this beachy beauty chilled citron and grapefruit zest complement soft floral notes of beach blossom and white cyclamen. 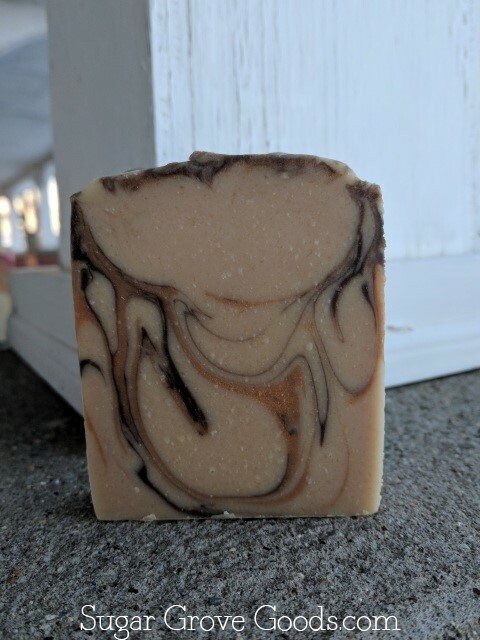 This coffee soap is sure to please any java lovers out there! 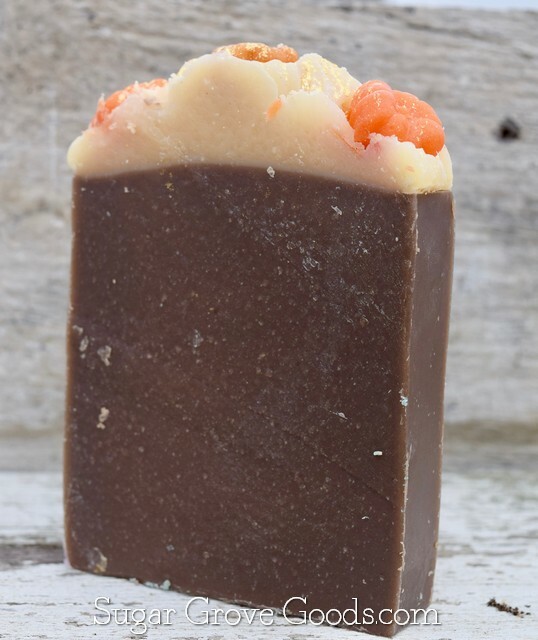 It smells like freshly brewed coffee and we've added freshly ground organic coffee beans for an added exfoliating touch! These adorable fragrance-free dinosaur shaped soaps are perfect for little hands! 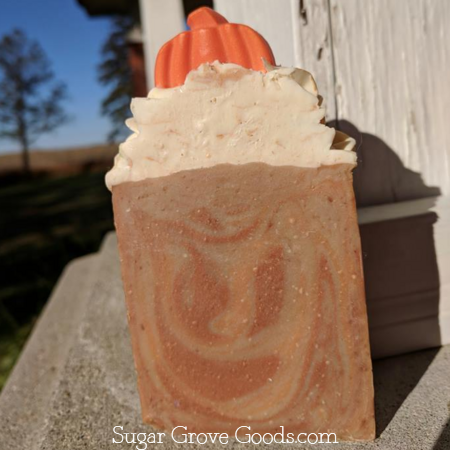 Notes of aged bourbon, dark rum, and vanilla blend beautifully with pumpkin in this delightfully 'drunken' soap! ​Garden Rose is truly a sophisticated beauty, with hand piped soap roses and a complex but delicate fragrance with notes of bergamot, vetiver, ambrette seed, tonka bean and iris root. Truly a floral gem. 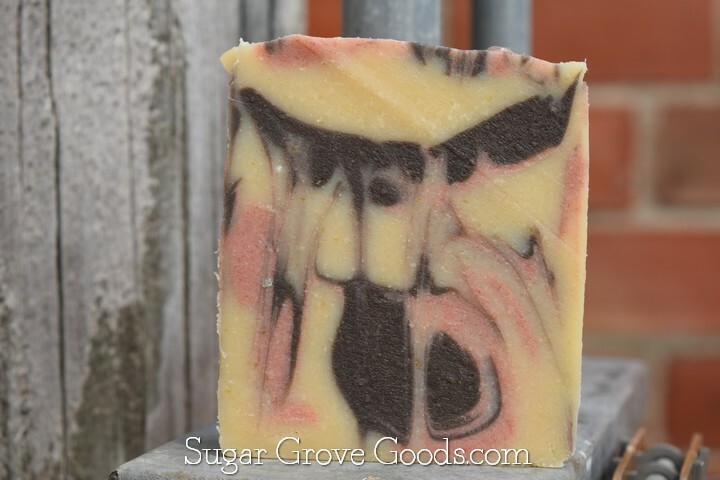 This fall favorite has notes of ginger, sugar crystals and pumpkin pie. And aren't those mini pumpkins so adorable? 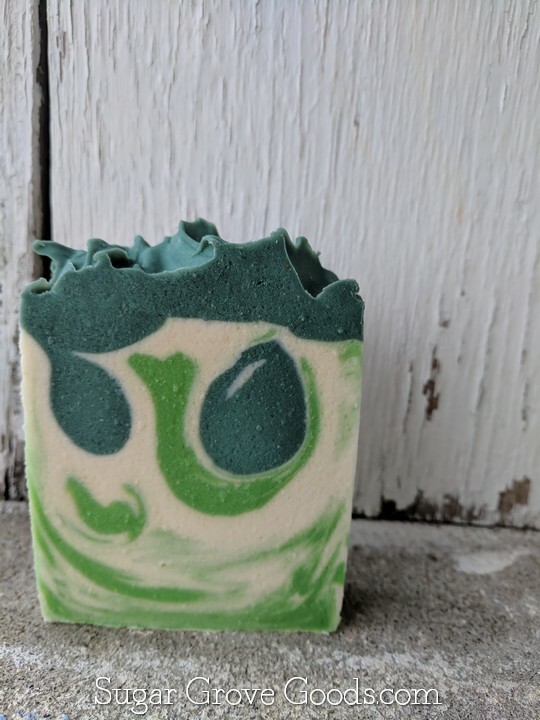 This is the soap for sour apple lovers! 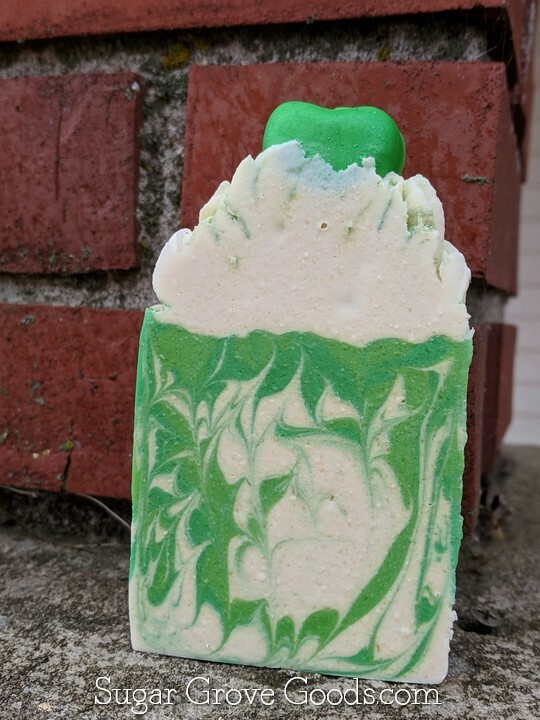 Green Apple smells just like any sour apple candy you've ever had. Crisp, juicy, a little sweet, and a little sour! 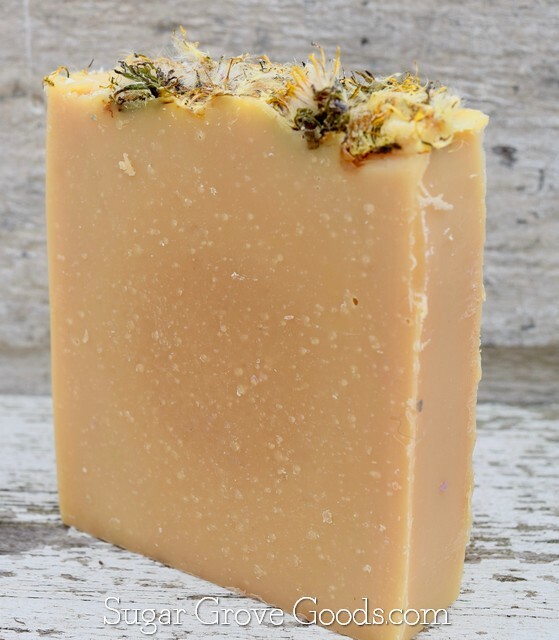 This lavender smells just like dried buds that have been rolled in the palms of your hands or fingers. 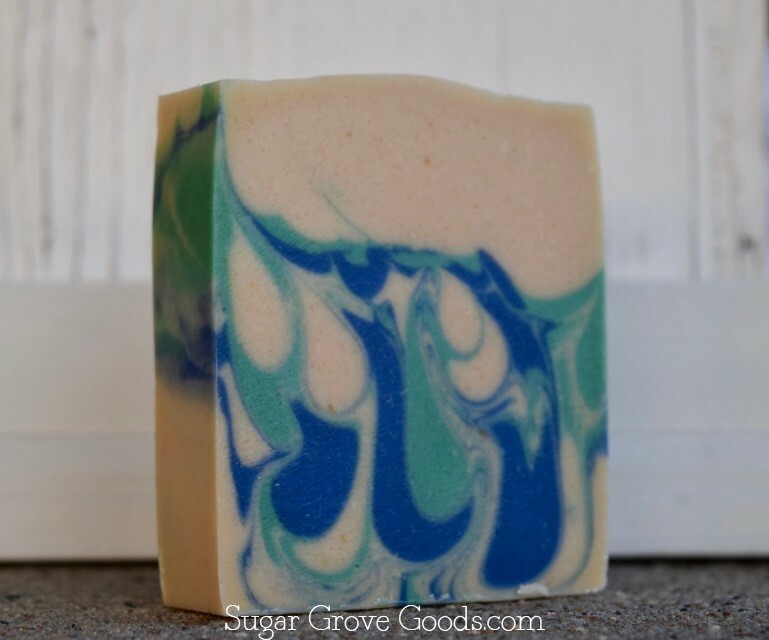 A simple and perfect fragrance to help you unwind. This essential oil and fragrance oil blend is autumn in a bottle. It smells like a walk with crunchy leaves underfoot and a briskness in the air. 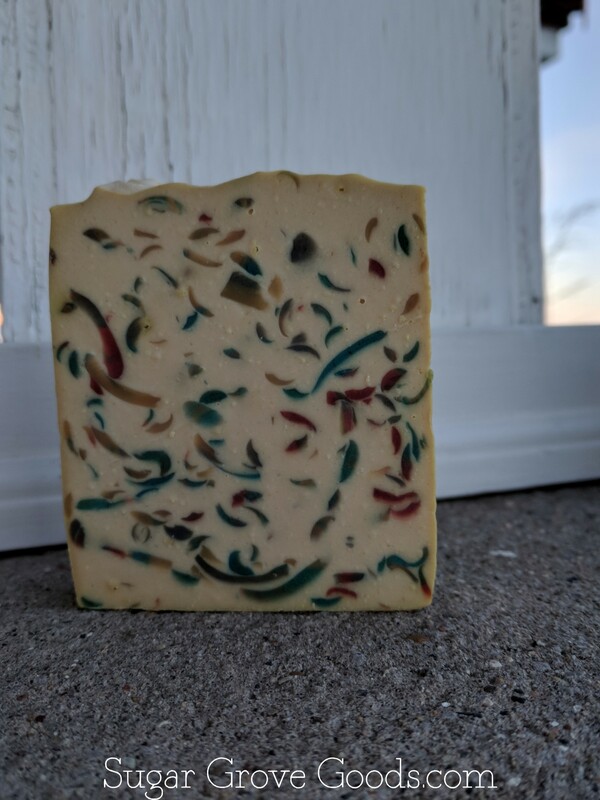 This soap smells like Christmas at my grandma's house. It's the perfect mix of fruit and spice. 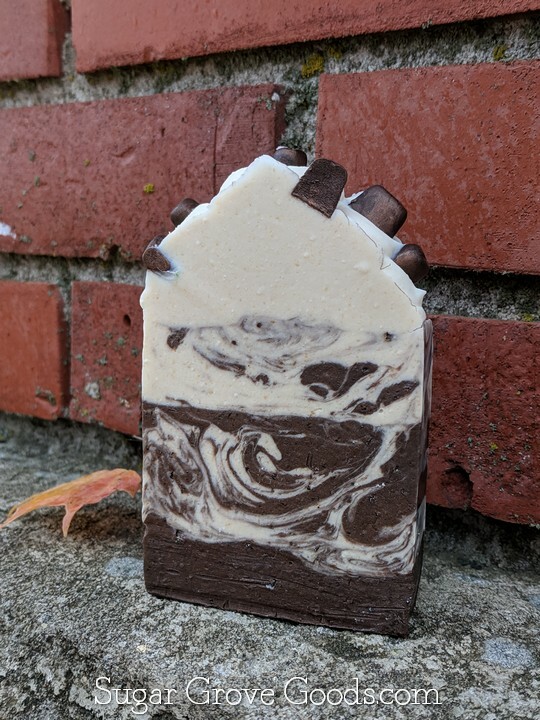 You'll love the comforting notes of apple, frozen berry, lemon, balsam fir, cinnamon, clove, cedar wood, mountain air, and musk. 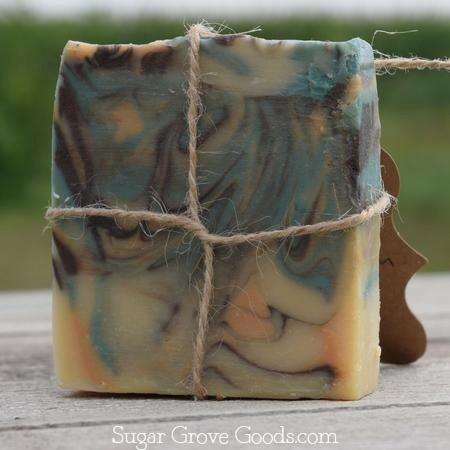 Named for our dear friend Mo, this essential oil soap is beautifully complex! 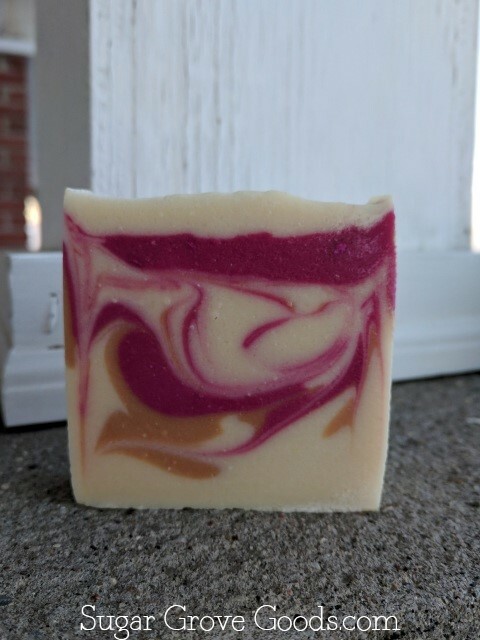 We've used an essential oil blend that has ​lavender, geranium, clary sage, peppermint, rose, and sandalwood. 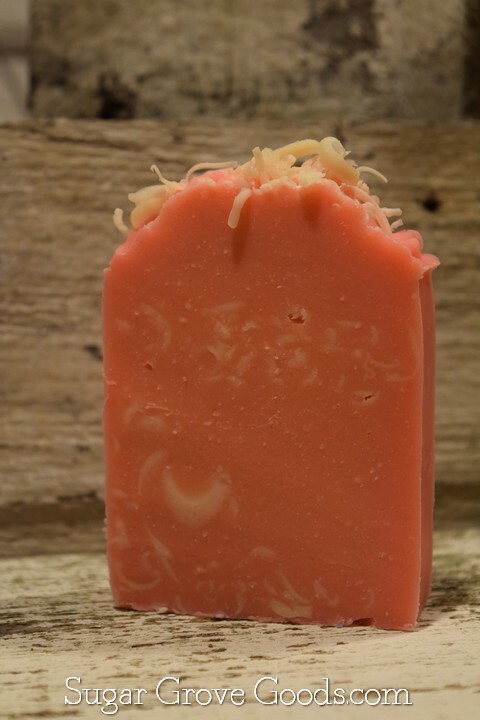 This regular, plain 'ol nekkid soap is perfect for sensitive skin. 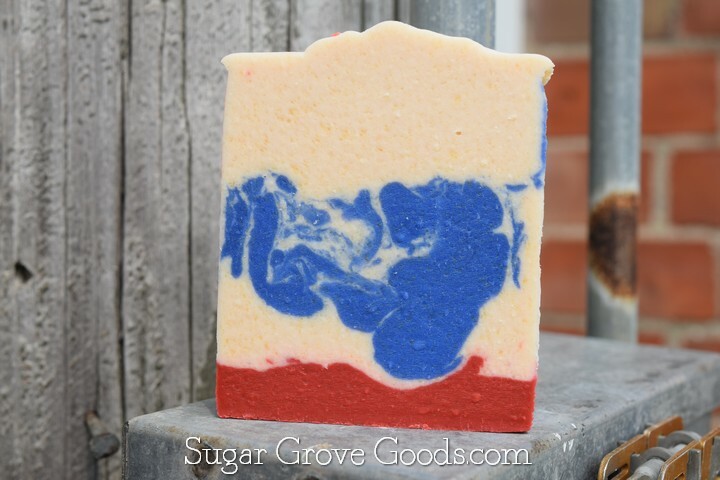 This is the soap that started it all and will forever be a staple in our inventory. 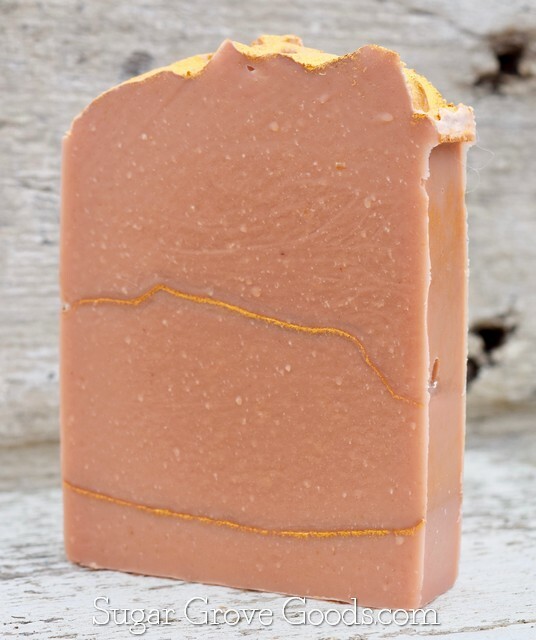 Meg even uses this gentle beauty for her face soap! 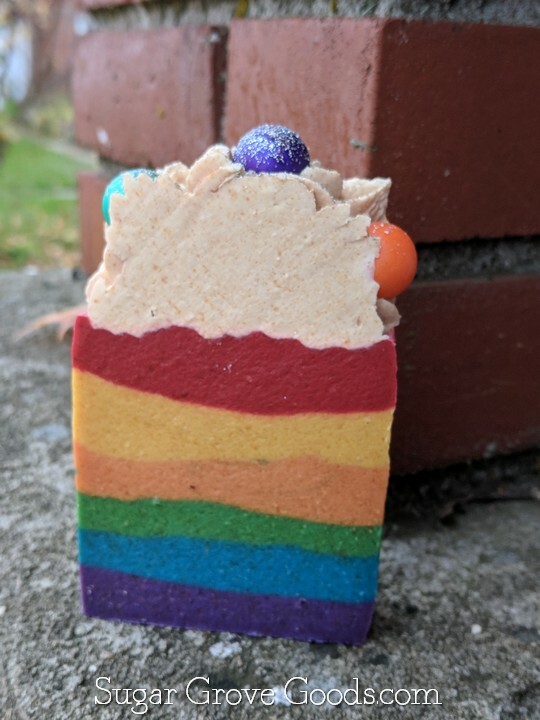 Such a cozy fragrance! 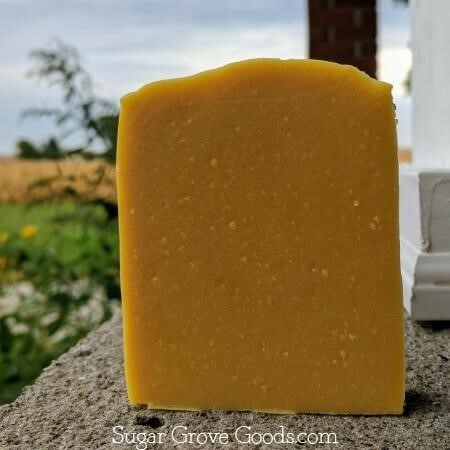 Sweet oatmeal, creamy milk, and warm honey! 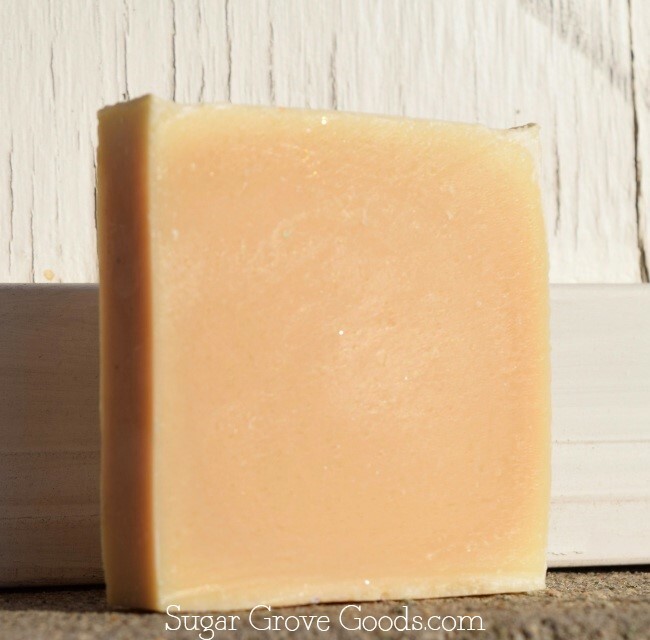 Fresh linen, cedar, and patchouli create a nostalgic blend that's perfect for a farmhouse vibe! 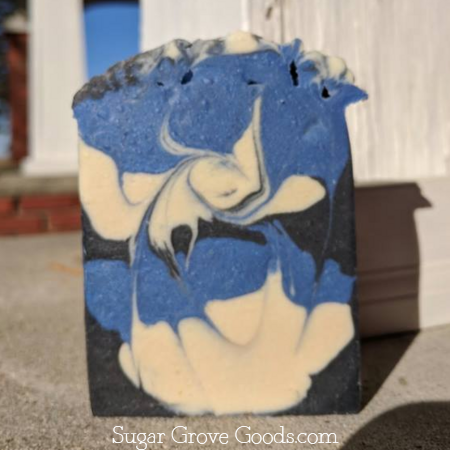 Pearl Noir is a lovely chamomile and lavender blend that has a touch of myrrh, olibanum, and berries. 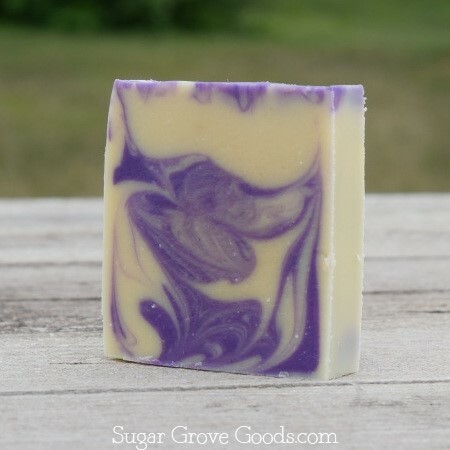 It is not your normal lavender and chamomile fragrance, but so much more! 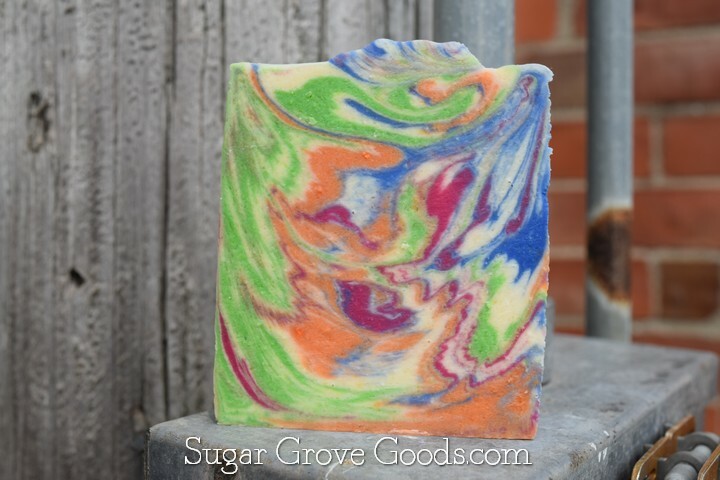 This high-topped, rainbow beauty smells just like your favorite fruit cereal! 75% of all proceeds from the sales of Proud are donated to One Iowa and their LGBTQ advocacy efforts. This beautiful rose fragrance is fresh and bright, and less heavy than traditional rose fragrances. 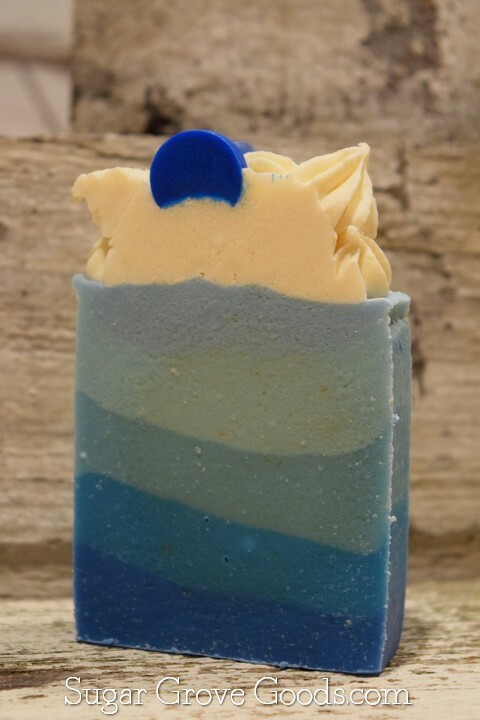 Crisp Lemon notes sparkle above White Rose, Muguet and Geranium Leaves; followed by back notes of Blue Spruce and Musk; all enhanced by hints of cooling Mint. This beauty is pure herbaceous awesomeness! This is the fragrance you want when you want something fresh and green and relaxing and not too trite. 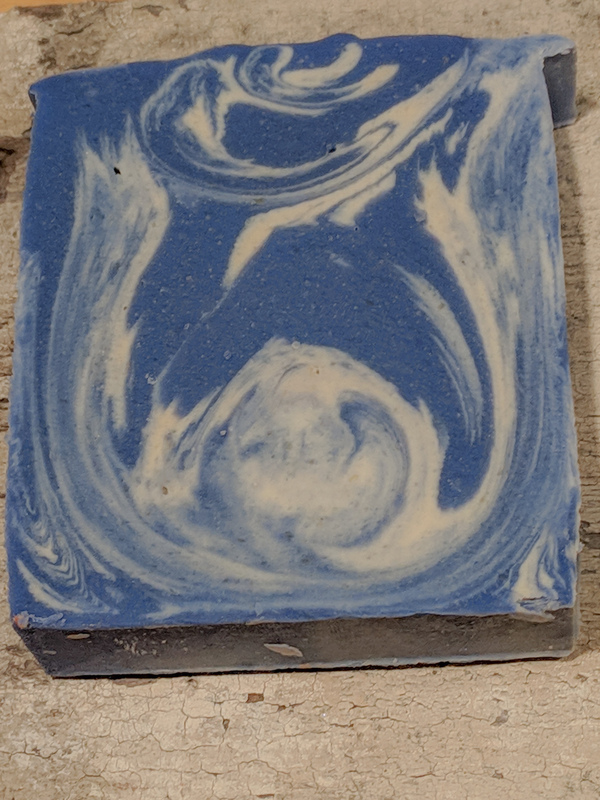 It is an earthy, grounding scent. 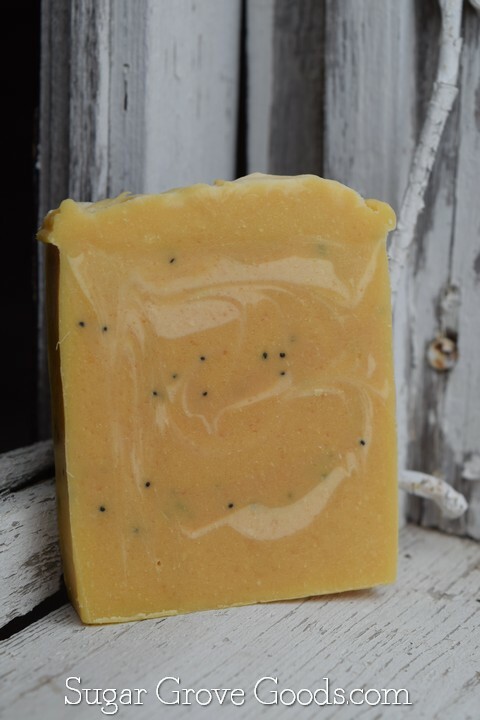 This essential oil soap is a delightfully mild citrus fragrance blended with some subtle warm spice notes. 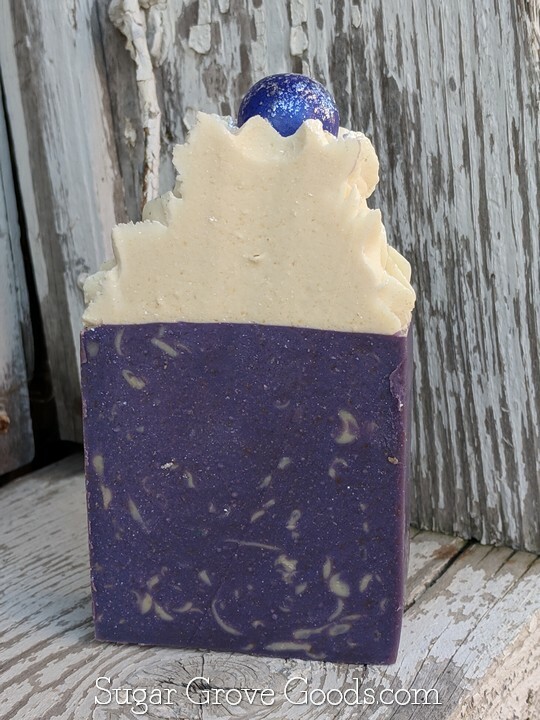 Space Stuff is fragranced with tart, sweet and floral bergamot combined with rich black tea to make a scent reminiscent of Earl Grey Tea. Both floral and rich, it is tea fit for any alien royalty. 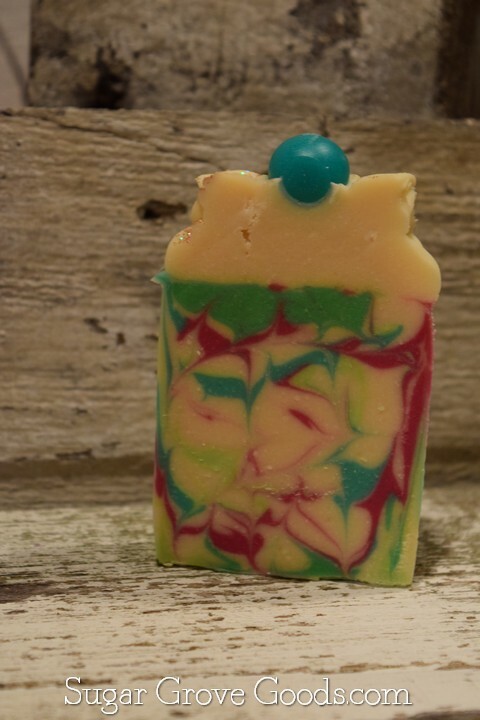 This fragrance has ​mandarin orange, melon, blackberry and violet leaf, followed by notes of lavender, jasmine, lily-of-the-valley and nectarine. The bottom notes are fresh honey, oak and musk. This fragrance is comprised of notes of lime, neroli, and frankincense. 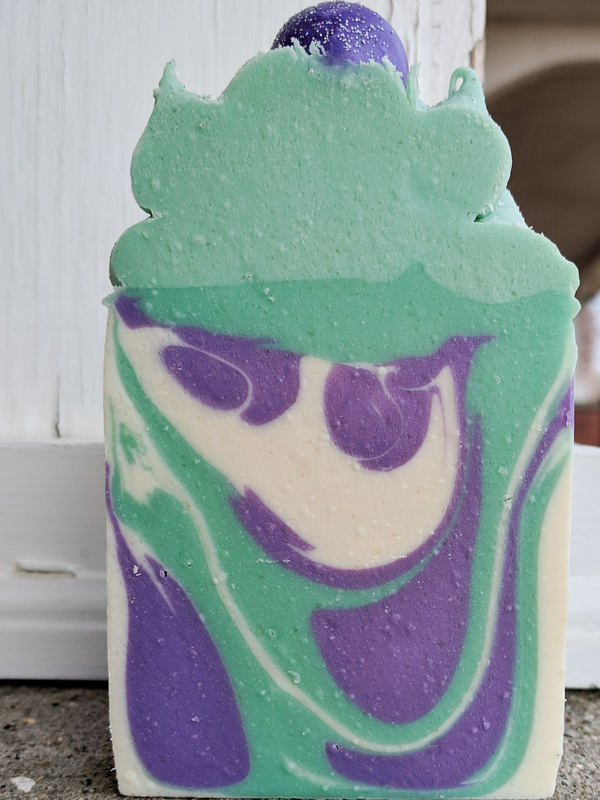 Sugar Skulls fragrance is fresh, uplifting, and energizing. It's sure to put you in the party mood. This warm and exotic beauty is complex and intoxicating. The perfect solution to a snowy day. Creamy nuances of shea, heliotrope and exotic acerola introduce this alluring fragrance as coconut and sweet almond milk seduce the senses. 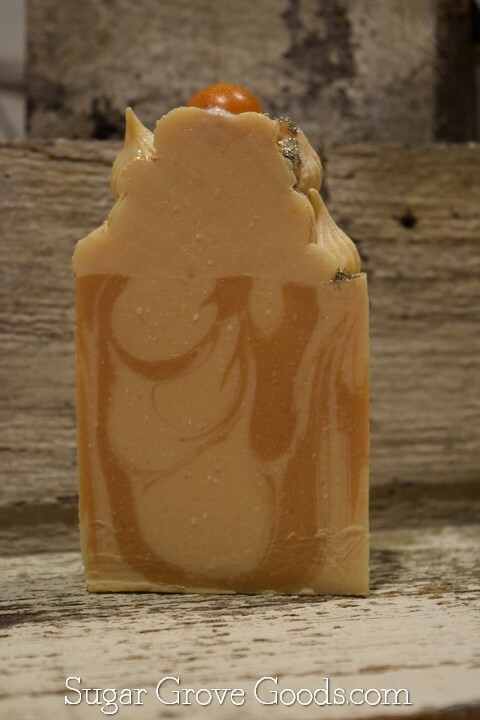 Blonde sandalwood and warm amber intermingle with sheer musks to create your new signature fragrance. 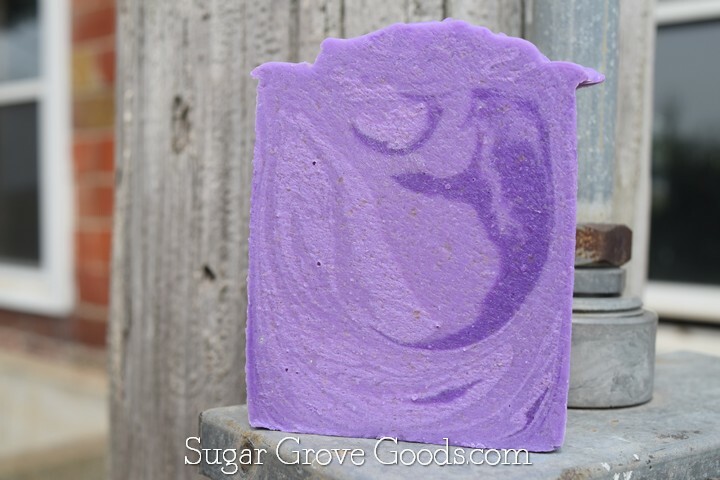 Sweet Pea is a Springtime Staple. 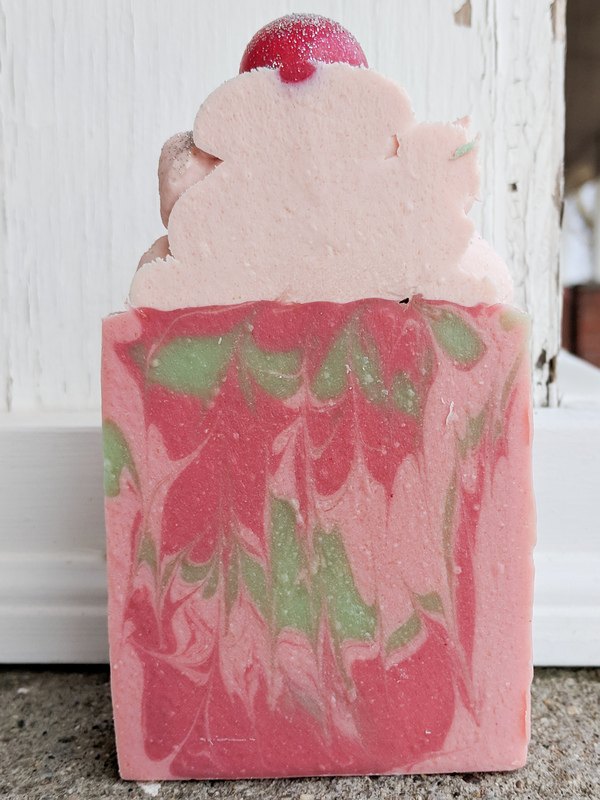 This lovely fragrance has Pineapple and Plumeria top notes to add a subtle and cheery sweetness to the blend, along with Strawberry and Clover middle Notes and is rounded out with a deep Creamy Musk and Sandalwood for staying power. 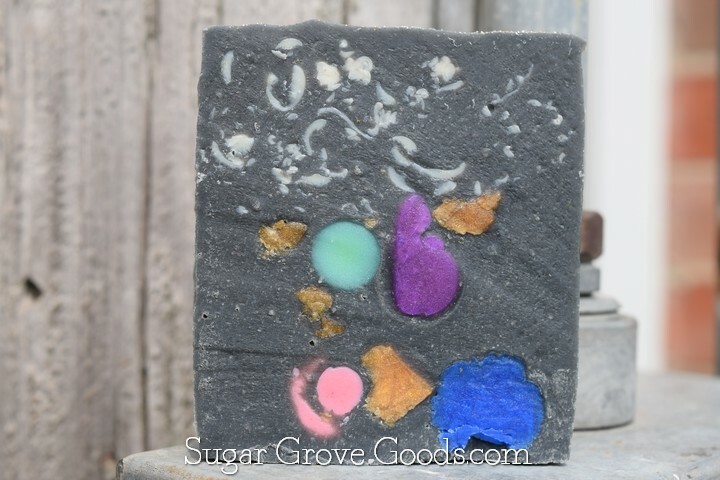 This essential oil soap has Tea Tree and activated charcoal to help rid your skin of impurities. 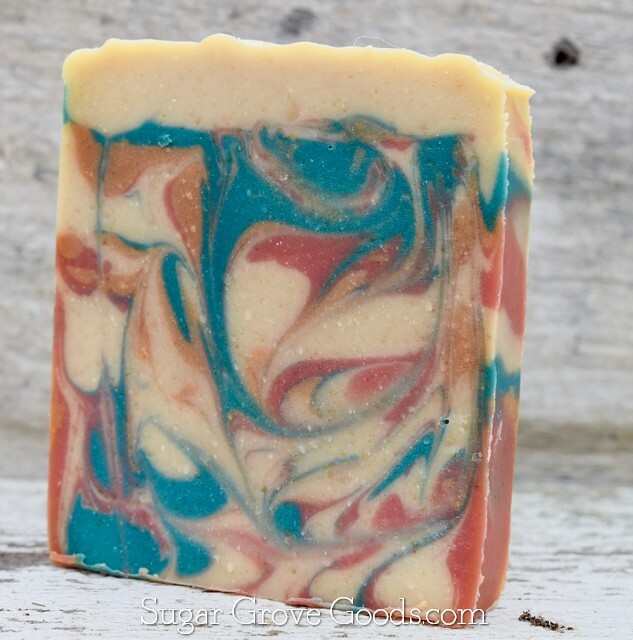 We've also added jojoba beads for some extra, Earth-friendly, scrubbiness. 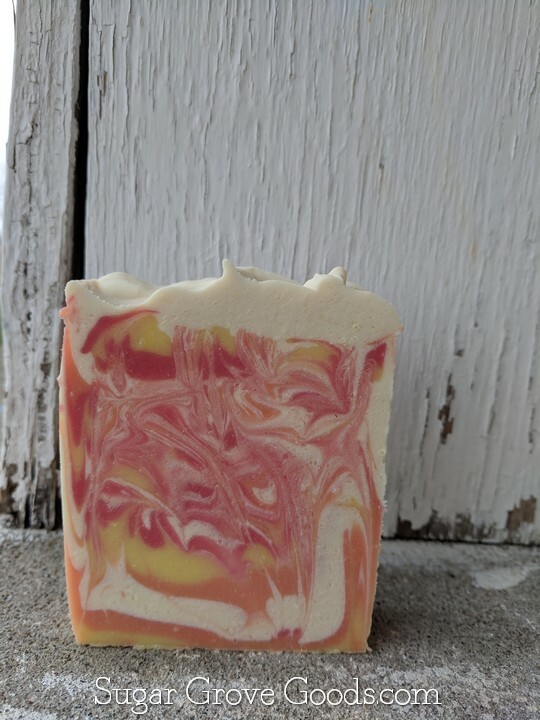 Named for my aunt Vicki, this addictive beauty boasts a lavish blend of pineapple, coconut, and goji berry on an irresistible background of sugar cane, tonic and sheer musk. This is a personal favorite in the SGG family! This lovely and complex fragrance is a woody blend comprised of sandalwood, olibanum, agarwood (oudh), cedar and iris. At the heart of this fragrance is Oudh, which is highly valued by perfumers for its sweet, woody, aromatic and complex scent. 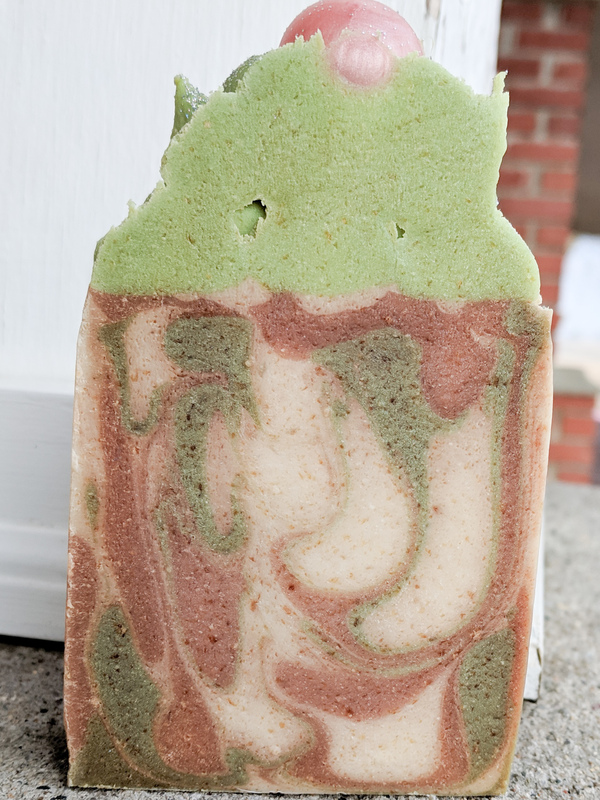 This fragrance consists primarily of an oakmoss and patchouli combination that is green and woodsy. 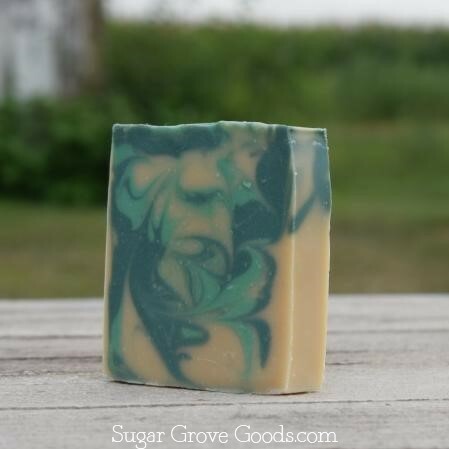 One of my very favorite aunts tasked me with making a piney smelling soap and Wood Sprite is the result! 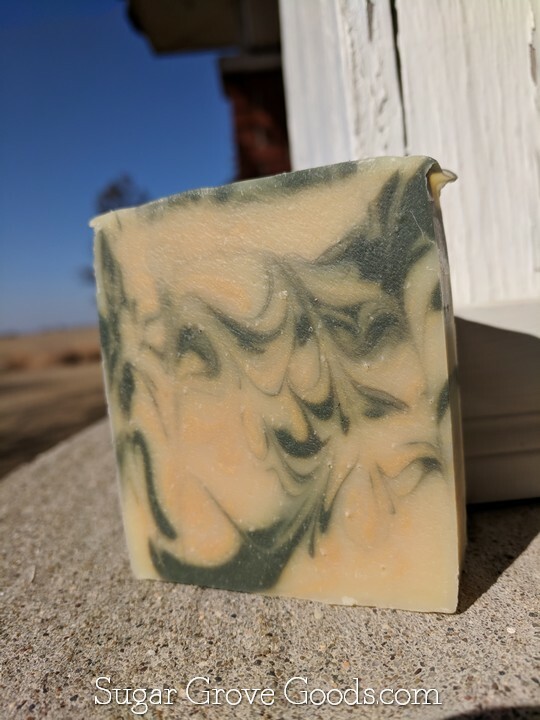 Fragranced with an essential oil blend comprised of earthy, piney, and citrus notes, Wood Sprite will surely be a treat for any time of year. This unmistakably masculine fragrance, reminiscent of the clean shaven sailor of the '70's commercials is comprised of top notes of orange, sage & lemon, that blends into carnation, geranium, cinnamon, jasmine and heliotrope. 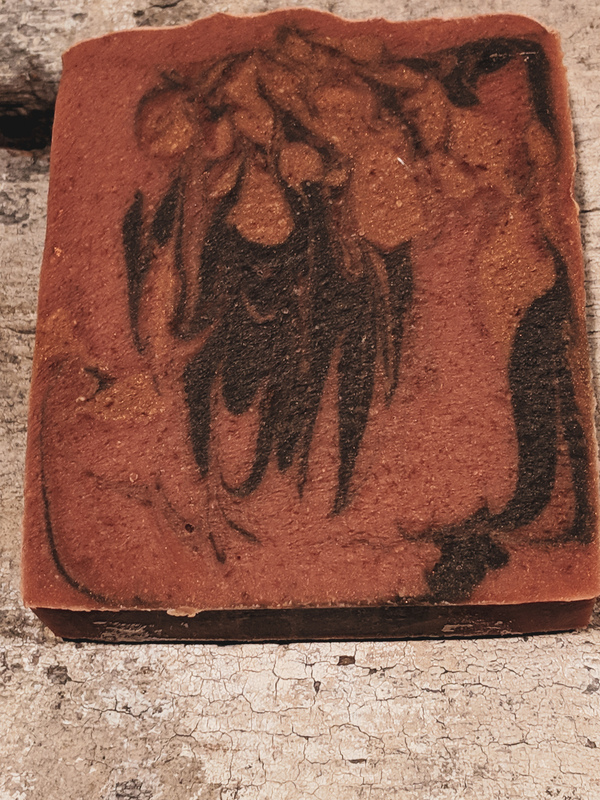 Finishing off this blend is vanilla, cedarwood, frankincense, tonka and musk.